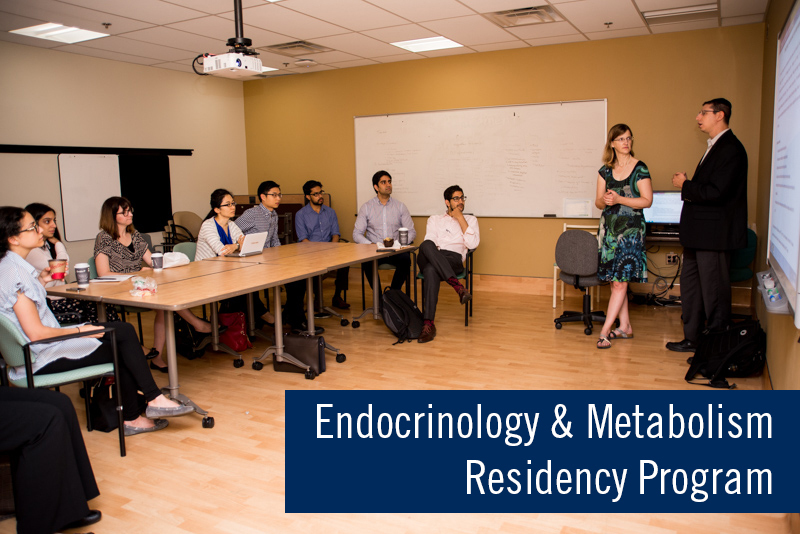 The Division of Endocrinology and Metabolism spans seven Toronto Academic Health Sciences Network (TAHSN) hospitals and is comprised of 45 full-time faculty (all MDs), all of whom are actively engaged in leading edge academic activities – patient care, teaching and research. It is by far the largest division of endocrinology and endocrinology training programs of its size in Canada, and one of the largest in the world. Because of the size of our division, our faculty have clinical expertise in all areas of endocrinology, including but not limited to diabetes, osteoporosis, cholesterol disorders, obesity, thyroid disease and thyroid cancer and less common diseases and cancers of other endocrine glands such as the pituitary, adrenal and parathyroid glands. We're best known for our diabetes research, with foci of excellence in other areas of endocrinological disorders including endocrine oncology, thyroidology and osteoporosis. The Department of Medicine offers more than 100 fellowships across our affiliated hospital sites. Three of those fellowships are through the Division of Endocrinology and Metabolism. We recognize excellence across all levels of medical education, both for faculty and trainees.